The novels of Gail Godwin are contemporary classics--evocative, powerfully affecting, beautifully crafted fiction alive with endearing, unforgettable characters. Her critically acclaimed work has placed her among the ranks of Eudora Welty, Pat Conroy, and Carson McCullers, firmly establishing Godwin as a Southern literary novelist for the ages. Father Melancholy's Daughter, is widely recognized as one of the author's most poignant and accomplished novels -- a bittersweet and ultimately transcendent story of a young girl's devotion to her father, the rector of a small Virginia church, and of the hope, dreams, and love that sustain them both in the wake of the betrayal and tragedy that diminished their family. 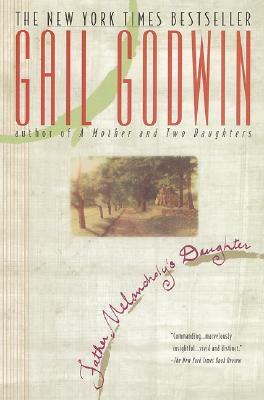 Gail Godwin is the author of ten novels, three of which were nominated for National Book Awards. A Southern Family and Father Melancholy's Daughter were both NYT bestsellers and Main Selections of the Book of the Month Club. She has been translated into 12 languages. She is a Guggenheim Fellow and the recipient of an Award in Literature from the American Academy of Arts and letters. She holds a doctorate in Modern Letters from the University of Iowa and has taught in the Iowa writers Workshop, Vassar and Columbia. A native of Asheville, N.C., she now lives in Woodstock, N.Y.